I don't like Jim Cramer. I think he's a terrible person to listen to if your looking for financial advice. He's a great entertainer (which is why he has the job of hosting a television show) but he is not someone you should listen to if you're trying to build wealth. It's likely that the only person Jim Cramer will make wealthy is your stock broker because of all the buy and sell transactions he generates from his Mad Money show. Of course, I'm not Jim Cramer's target demographic. He's not going to lose sleep at night if I'm not watching. And if you are a dividend growth investor, then he should not appeal to you either. The type of show like Mad Money will appeal to stock market traders. There are major differences between investors and traders. 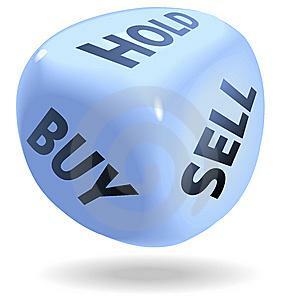 A trader is someone who buys a stock because they are speculating that it will go up. They are typically looking for a quick gain in the short-term. One of the problems, in my mind, with current Wall Street is that the market is driven more by Traders than Investors. It's easier to make a quick buck "trading", of course its much easier to lose money this way too. I equate Trading to gambling. Its exciting, you can turn a quick profit if you're lucky, but in the end the majority of people will lose money. Investors buy a stock for the long term. They're not that concerned with daily fluctuations of their stock as long as they believe in the company and its long term potential. Investors look for quality companies that are selling at a cheap price. Investing is boring and can take time to see the wealth that it can create. But investors will generally have much more success in the market over their lifetime than traders. When I buy a stock, I intend on holding that stock forever. Of course there are situations that would make me sell. But as long as the company continues to pay and grow its dividend, I know the price of the stock will catch up. So when the price of a quality dividend growth stock goes down, I'm excited because I know I'm getting a deal for the long term. Here are several stocks that I see as deals right now. You may not make a quick buck over the next few months in these, but you're likely to do well if you hold them for the long-term and reinvest your dividends along the way. Disclosure: I am long ABT, AFL, COP, and INTC.